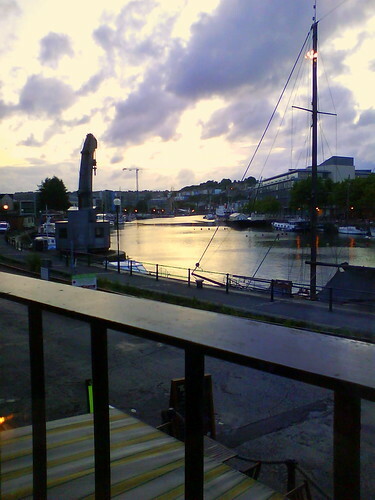 The view from the Olive Shed, Bristol, originally uploaded by still awake. This entry was posted in Bristol, Bristol Photography, Food, Photography and tagged Bristol, Bristol restaurants, Floating Harbour, Food, Olive Shed, Photography. Bookmark the permalink. Another lovely photo. Love the colours. It was a lovely evening 🙂 thanks!